One perk of living in the Carolinas is the weather. In the summer months, if you don’t like the weather, wait ten minutes and it will change. Mother Nature has a mind of her own and that is why the Carolinas are also known for some of the worst storms around the country. 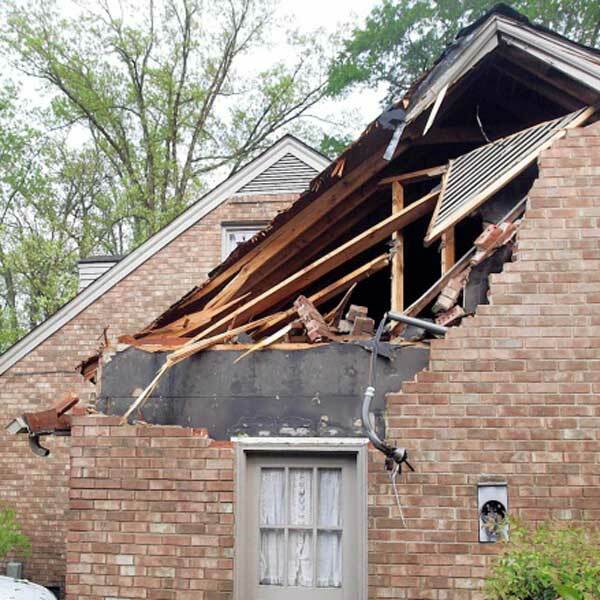 With winds that can send a tree into your living room, hail that can cause extreme roof damage, and rain that will turn your front yard into a lake, how can a Carolinian rest easy? Because storm damage experts at Rumsey Construction and Restoration are ready around the clock to respond to your emergency. The storm damage professionals at Rumsey Construction and Restoration are waiting 24 hours a day, 365 days a year to assist you when nature takes a turn for the worst. Our first step is to ensure your property is secured properly. We will take any measures necessary to board-up or tarp your home or business, and then assess the damage. Our professionals work with the insurance providers in North Carolina and South Carolina frequently, and we will find the optimal home restoration guidelines that work best for you. You should not have to worry about security after being a victim of storm damage. Give us a call after the storm hits and our general contractors will secure any opening that was not previously there. From tarps to two by fours, we will make sure no further damage occurs to your home or business. Our comprehensive storm damage services also include tree and debris removal and general repairs. If any part of your property requires reconstruction, Rumsey Construction and Restoration is a full-service construction and roofing company that can get your property back to pre-loss condition in no time! Did the storm also knock out your power? No problem. You can use our generator until the lights come back on or the insurance adjuster arrives. No matter what time the storm hits, our experts are available 24 hours a day, 7 days a week to secure your home from further damage. We Are Available to Take Your Call 24-Hours a Day, 365 Days a Year! These are the three words that describe Rumsey Construction and Restoration contracting work. Every time we work with someone, we believe it is our responsibility to give them an outstanding experience – quality craftsmanship, attention to detail, superior customer service, and practical solutions that are suited to their needs and budgets. We have years of experience doing residential and commercial construction in the Carolinas. All of our crews are professionally trained and have extensive experience working in the area. We only take jobs when we are sure that we can deliver the best results. Take a look at our portfolio to see our past jobs and how serious we take our craftsmanship. Rumsey C&R has a commitment to real service from real people. Call and speak to a real person at any time—someone who actually knows what’s going on and has the power to fix problems. We’ve built our reputation in the community through word-of-mouth and real, honest service. If you’re ever unsatisfied at any step in the process give us a call and we’ll make it right immediately. In the construction industry, we work closely with you to adhere to budgetary restrictions without sacrificing great construction value. We’ll stand by anything we build as something we’re proud of. Contact us to begin talking about your next construction project. At Rumsey Construction and Restoration, our business philosophy is simple: go the extra mile – every time, for every client. We want to build lasting relationships with our customers. Every time we work with someone, we believe it is our responsibility to give them an outstanding experience – quality craftsmanship, attention to detail, superior customer service, and practical solutions that are suited to their needs and budgets. © 2019 Rumsey Construction & Restoration.